Beginning March 2nd, 2015, it’s going to get tougher for seniors to qualify for a reverse mortgage. The Federal Housing Administration (FHA) has issued tighter lending standards and stricter credit requirements for homeowners seeking an FHA-insured home equity conversion mortgage (HECM). These are known more colloquially as a reverse mortgage, by which homeowners aged 62 or older convert equity in their principal residence into cash. FHA-insured HECMs account for upwards of 90% of all reverse mortgage originations nationwide. assessment bonds and other recurring ownership costs. complete mandatory reverse mortgage counseling with an approved counseling agency. Lenders may still approve a reverse mortgage if the applicant doesn’t fully qualify due to extenuating circumstances resulting in a temporary loss of income, such as the death of a spouse or a hospitalization. In such cases, lenders may require a portion of the reverse mortgage proceeds be impounded for future TI payments as an additional cushion in the case of temporary hardship. The Department of Housing and Urban Development (HUD) has published guidelines for what circumstances are considered extenuating and how much impounding is required. These developments have contributed to the program’s steadier footing in recent days. But the agency maintains it continues to make payouts from the tax-backed mortgage insurance fund, much of that stemming from reverse mortgage borrowers who continue to default on TI obligations. Hence the new protective underwriting requirements for reverse mortgages: virtually all reverse mortgages are FHA-insured. That means the government is on the hook for any deficiency in the value of a property to cover the balance of a reverse mortgage in a foreclosure. Additional fortification for the FHA’s mortgage insurance program is great, of course, but some have raised the issue that stricter reverse mortgage requirements freeze out exactly the limited-income seniors the program was designed to benefit. This may well be true, but whether or not that’s a benefit or a detriment is another story. Reverse mortgages are complex, potentially risky financial instruments often used to prey on uninformed elderly homeowners in need of immediate income. Requiring a documented ability to carry the costs of a reverse mortgage, in conjunction with mandatory counseling and limits on the amount of equity homeowners may withdraw, will serve to limit reverse mortgages to those borrowers who are financially savvy enough to sustainably handle one. The new rules will put FHA reverse mortgages, and the income they provide, out of reach of some. But older homeowners in need of retirement income have alternatives to a potentially dangerous reverse mortgage. Those with substantial equity are generally better off selling their often-oversized Baby Boomer castles, relocating and reinvesting or saving the sales proceeds for a stable retirement reserve. This is especially true for the majority of homeowners with limited retirement income and considerable equity in a home which may be their only major asset. 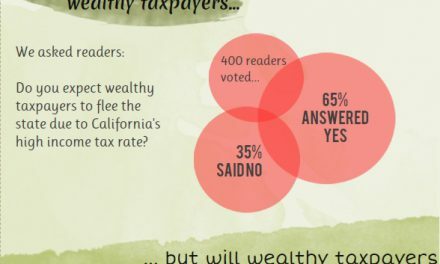 The votes are in: Don’t worry about tax flight! Have you ever originated reverse mortgages or worked in the reverse mortgage industry? Are your comments based on “observations” and “research” with other financial “experts”?